The Eden Art Wall apartment development explores the line between architecture and sign. This urban infill project is located in a varied and complex part of the Sydney cityscape and is visible from many vantages. The office sought to explore the possibilities of adding to the tapestry as a piece of art in the urban landscape. The project comprises 24 apartments consisting of a mix of 1bed, 2 bed and 3 bed penthouses. 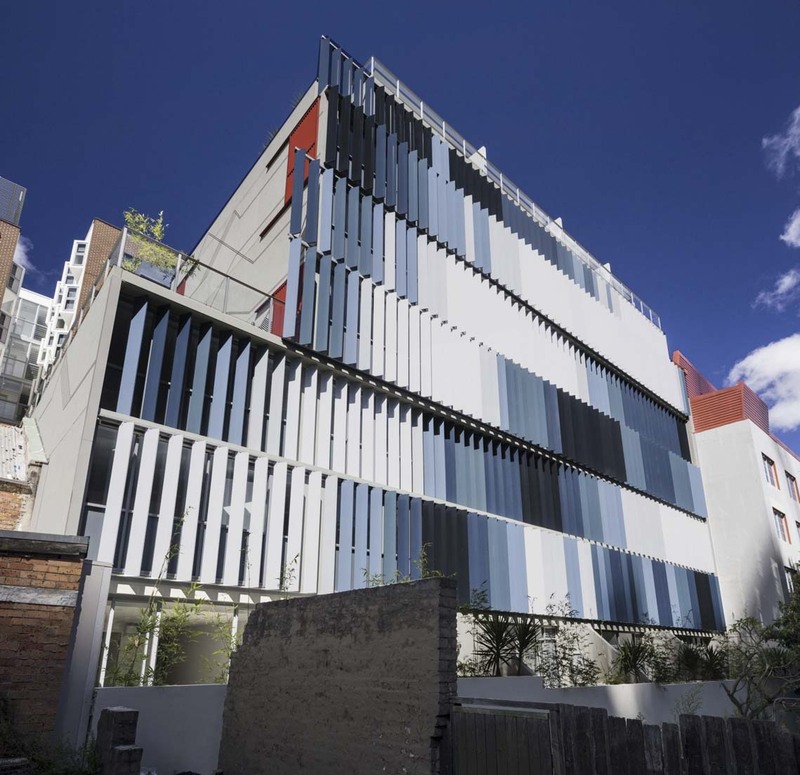 The project is located in a narrow laneway adjoining apartments to the east, and looks onto the Frasers Central Park development to the west. 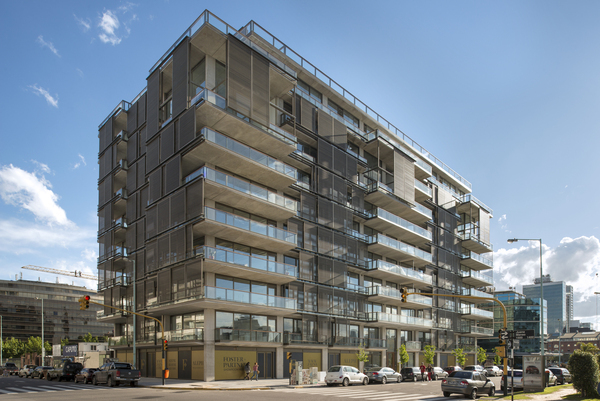 Foster + Partners has completed its first project in Latin America with the opening of the Faena Aleph Residences in Buenos Aires, Argentina – part of the reinvention of the former docks of Puerto Madero as a dynamic new urban quarter. Drawing on local architectural traditions, its apartments feature vaulted living spaces and deep, sheltered terraces that exploit the wonderful local climate and maximise views towards the city and Rio de la Plata. 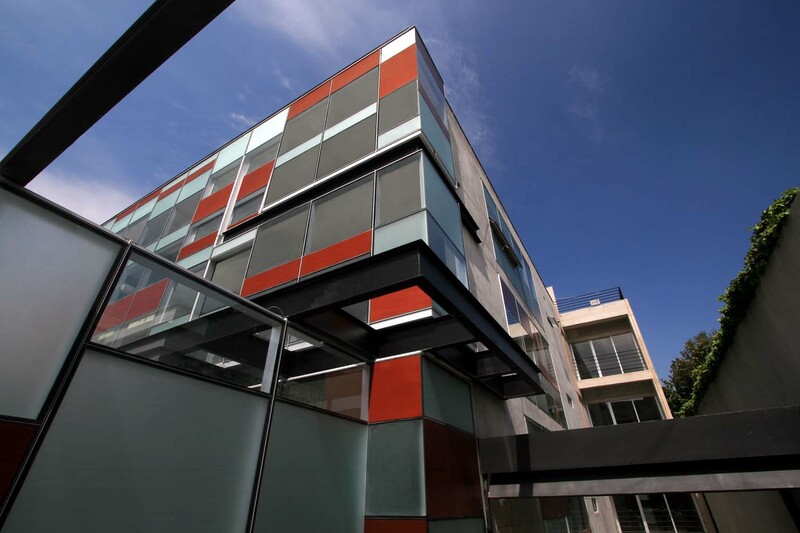 In projects made by Kababie Arquitectos it is very important to reflect the client´s identity. 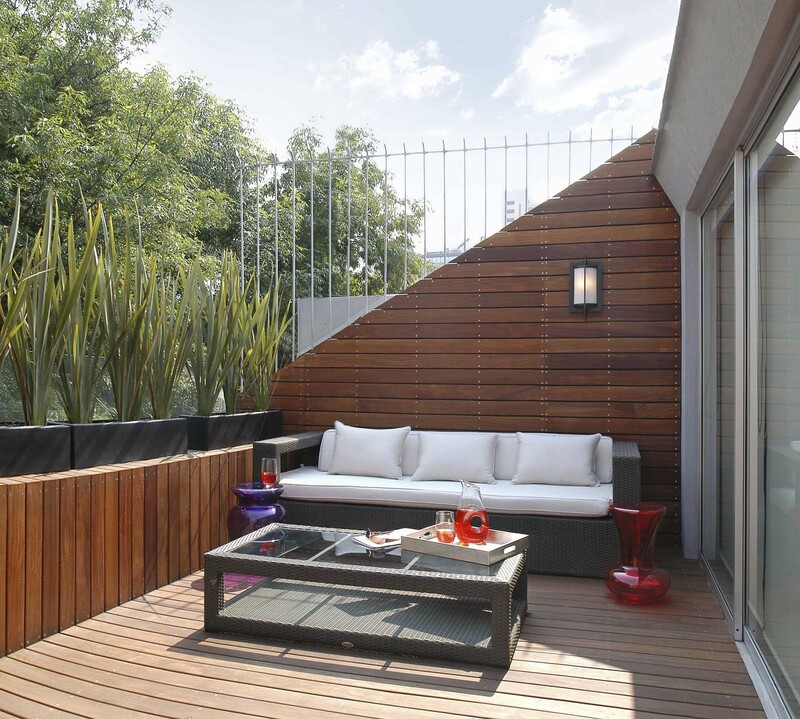 The architecture and interior design of the space should transform into a mirror of his personality, and for this apartment in Polanco, architect, Elías Kababie – director of the firm – focused on reflecting the personality of the user developing a space designed thinking in the activities and lifestyle of a single man. 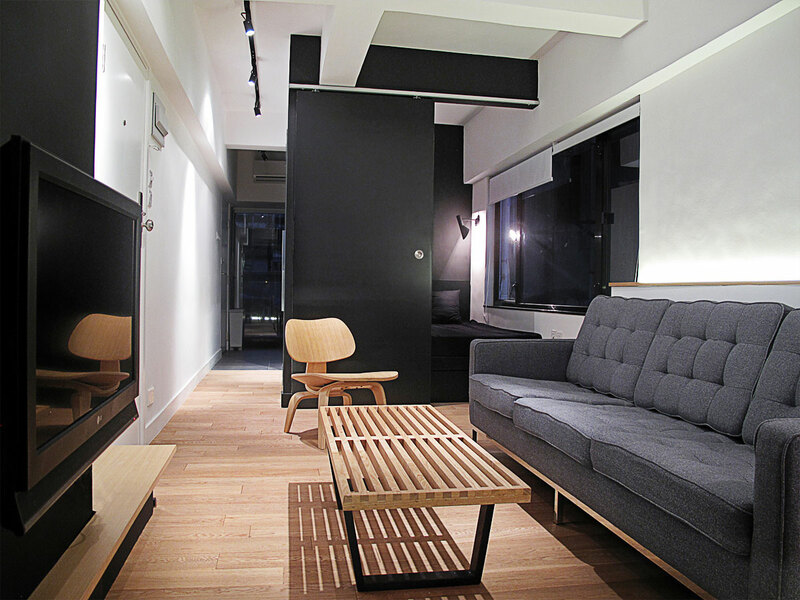 In Hong Kong, where space is at a premium, the OnebyNine studio architects took on the challenging brief to help design a limited 32 square meter apartment. Lukasz Wawrzenczyk and Ewa Koter; architects originally from Poland but now working in Hong Kong, were tasked with integrating standard European program without compromising comfort of living as a main design approach. On the weekends from April 14 to May 6, the WALL-ALL apartment project by Haiko Cornelissen Architecten was included in the new edition of Stillspotting NYC in Jackson Heights, Queens, a project by the Guggenheim Museum. The WALL-ALL apartment is a renovation project that expands the most important spaces by compressing the lesser used spaces into the apartment walls. Thanks to this unique concept that creates a quiet oasis within the dense urban environment, the apartment has been selected as a Stillspot for the Guggenheim project. 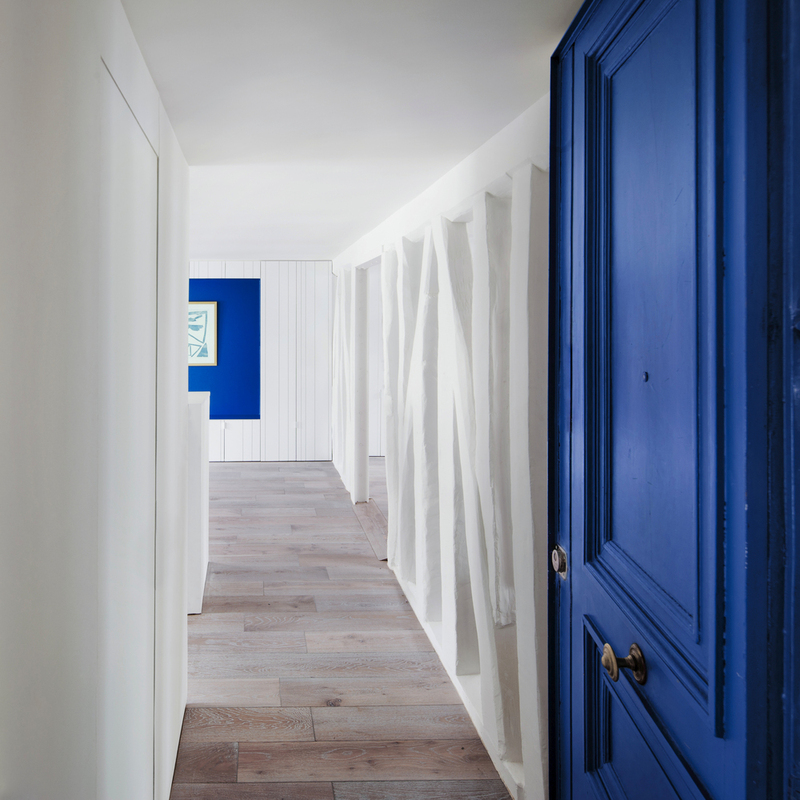 On the 5th floor of a Parisian 19th century housing building, an apartment is entirely re-designed to make a home for an art lover. Initially partitioned into a series of small rooms, the dwelling space is now wide open, emphasizing the east/west orientation axis that allows natural light to spread in all day long from side to side. The former dividing wall is stripped down to reveal its plain wooden structure, creating a filter between the dining room and the living room. The open kitchen faces a wall sculpted by cupboards and framing welcoming International Klein Blue niches for the beloved art pieces of the owner.